"@xfactor_au Instagram: The power of three. 🙌 Wanna see Adam, Iggy & Guy do their thing in person? Grab your audience tix now (link in bio!)" 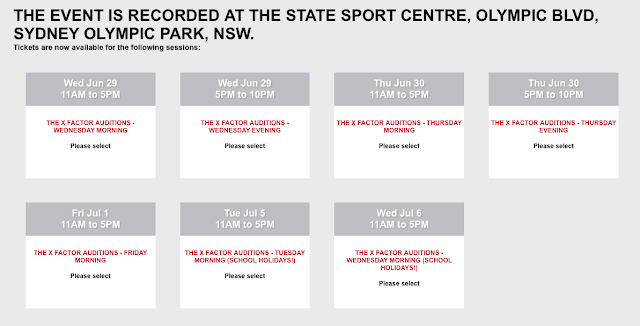 The AUDITIONS for contestants are being held in Sydney on June 29, 30, July 1, 5 and 6, 2016, for a total of 7 auditions. June 29 and 30 have morning and afternoon sessions, with the other dates having only one session per day.. These are for the auditions ONLY. The LIVE SHOWS will not be airing until November and will be approximately one month (4 weeks approx.) in length according to Iggy Azalea, who posted the information on her twitter page.. Stay tuned for more info about the live televised X FACTOR 2016 shows later this year! The power of three. 🙌 Wanna see Adam, Iggy & Guy do their thing in person? Grab your audience tix now (link in bio!). Audition Audience Tickets offered on these dates and times. See embedded link above to request. Oh My! Where does Adam have the time to judge X Factor for an entire season?? Guess he knows what he's doing and, of course, it will give him even more exposure. So, good for him! It's only one week for the contestant auditions and just 4 weeks in November. A total of 5 weeks only. The season is abbreviated this year. An incredible opportunity for him IMHO..
Adam likes to keep busy & busy he is!!! Info re Guy Sebastian .... he won the 1st Australian Idol competition in 2003 & he is a very successful Australian artist. He has been a judge a number of times on The X Factor Australia. 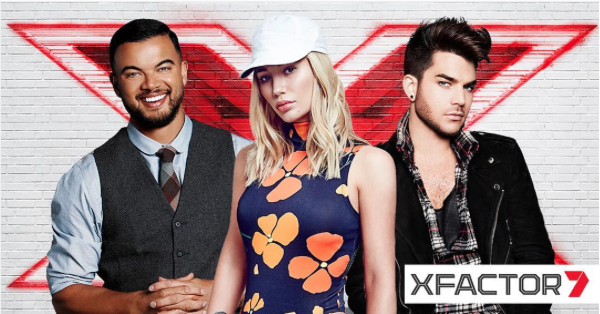 Unless the format has changed, as far as I'm aware, Adam will be a mentor on The X Factor Australia as well as a judge i.e. he'll have contestants to mentor. The other 2 judges will have contestants to mentor as well. Adam's been building a great international foundation,especially with his collaboration with Queen. The X Factor will gain even more fans and exposure which hopefully will trickle into the US as his fame grows. I'm excited for him & so proud of what he's accomplished. I hope films will also be in his future. Wicked will be made into a movie in 2017 & has not been cast yet. I'd love to see him get the lead, coming full circle from when he was a chorus boy & understudy. Without the facial hair he would pass for being young enough. He certainly knows the part & has the vocal ability for it. Time will tell if he'll be considered. Holdingy my breath about the Wicked thing, but anything is possible. COULD his first movie role! But we'll see. Me too about "Wicked. The Movie": It would make PERFECT sense but not getting my hopes up.. yet!! !